For a while I've been collecting samples to do another Sample Stash post, as you guys really liked it last time! (Here's the link to the last one) I've got so many, mostly through magazines, and keep them in a box so I remember them for future posts! Review: I had quite high hopes for this one, considering it has a blend of four oils - Argan, Macademia, Almond and Rose - that it would be quite moisturising. Even though it's called a lotion, I'd probably put this in the body butter group because it's got such a thick texture, that I sometimes struggled to even rub it into my skin! Saying that, it was very moisturising and nourishing, but the smell wasn't quite right either! Verdict: I did like using it, perhaps if the consistency was thinner and it smelt more appealing, then I'd consider purchasing the full version. Review: This product took a little longer to get my head around! It's classed as a 'Skin Conditioner' and you apply it after using your usual soap or shower gel and miss applying lotion afterwards because your skin is left so hydrated. In my opinion, it's just an added extra faff that I just can't be bothered with! I did notice my skin feeling moisturised, but I still used my usual lotion because I get super dry skin around this time of year! Verdict: I liked the concept, but it just didn't work for me. Too confusing as it didn't lather and just another thing to add to my routine! Review: Not a fairly new release, but I had a couple in my stash that needed using! I've used it before and actually quite liked it, and same again for this time around! It's very light and hydrating, which is perfect for me. It also has a tiny bit of shimmer in it, which makes your eyes look even more awake and bright. Verdict: Great budget beauty buy, probably not my favourite eye cream of all time. But I'll be using this as my day time eye cream to brighten my dark circles! 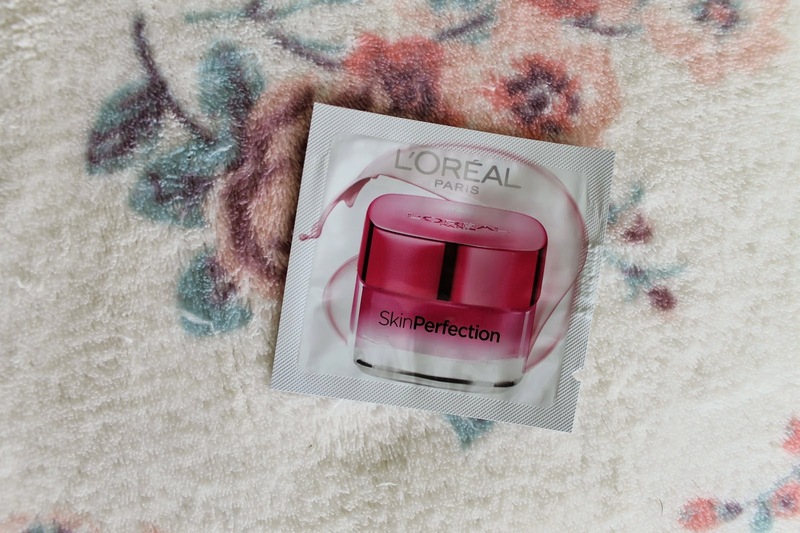 Review: The face cream sister of the hyped Micellar solution, so needless to say I had high hopes for this one too! This product is basically an all-in-one, evening skin tone, reducing pores, blurring imperfections etc. It was hydrating and did help even my skin tone and leave it feeling silky soft, but to me, it felt more like a primer in consistency than anything else. Verdict: I did enjoy using it - but in my opinion, it's probably better used as a primer to use before make up, so that skin is left feeling smooth and prepped. Review: Saving the best until last! I never thought anything could mildly tackle my crazy waves and curls (they literally have a mind of their own!) But this product actually worked and did what it says on the tin. You apply it after the fourth wash to towel dried hair, blow dry your hair then use straighteners to activate the 'Thermal Technology'. I won't get into the nitty gritty of it all, but after following the instructions, my hair was actually manageable and fairly straight! Verdict: 100% recommend it for people who have slightly wavy or curly hair. Even if it does take a little time to style, it's totally worth it! Have you guys tried these products before? What do you think of them?